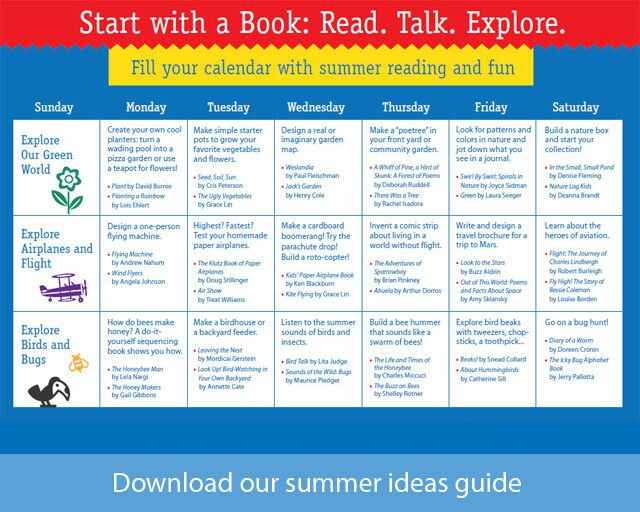 If you are a parent, find out how you can use our resources to launch a summer full of reading, exploring, learning and fun for your child. See how one young mom keeps her two kids reading and learning during the summer, in the video clip at the bottom of this page. 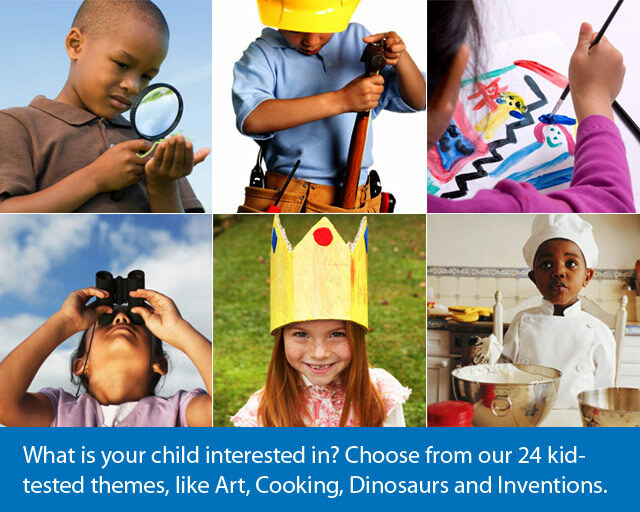 What does your child love to see, explore, and learn about? 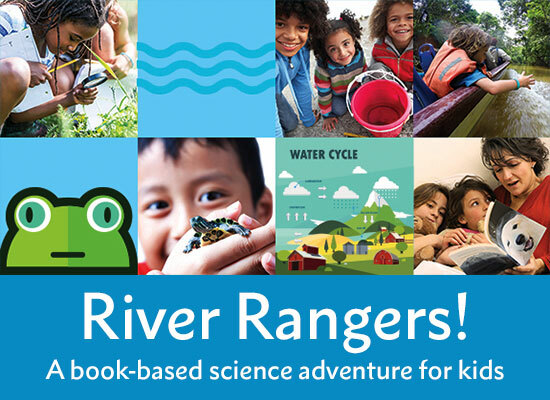 If you have a young detective, explorer, artist, athlete or superhero at home or a child fascinated by dinosaurs, planes, bugs, birds, building, animals, the moon and stars, tall tales, music, money, nature, water, or thunder and lightning, you'll find a summer theme that matches his curiosities and interests. My child is fascinated with bees! Read all about bees. 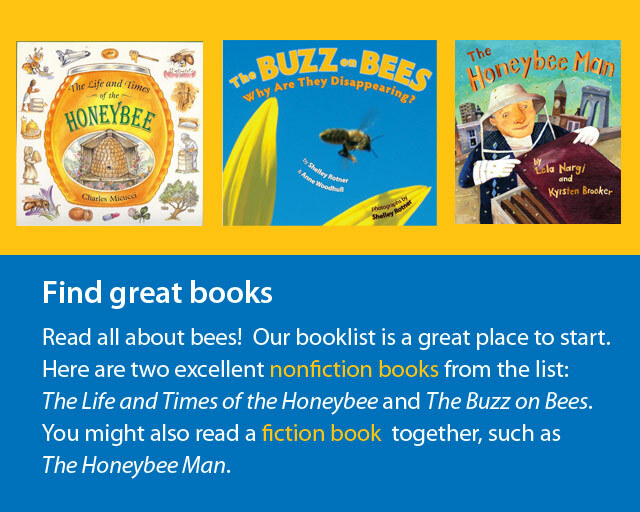 Two excellent nonfiction books to start with: The Life and Times of the Honeybee and The Buzz on Bees. You might also read a fiction book together, such as The Honeybee Man. 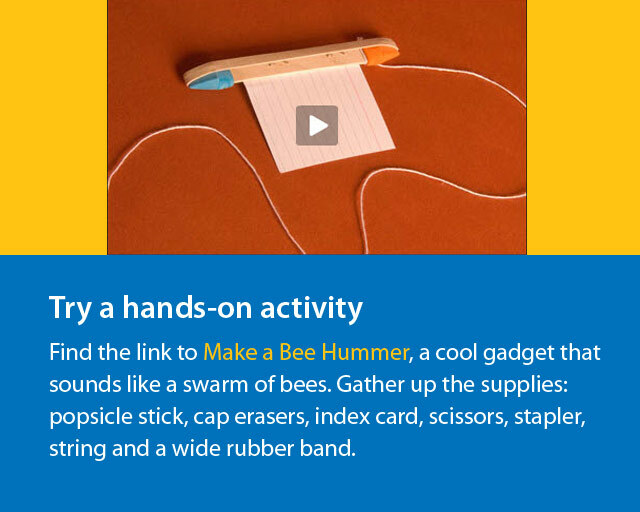 Let's make a bee hummer, a cool gadget that sounds like a swarm of bees. Gather up the supplies: popsicle stick, cap erasers, index card, scissors, stapler, string and a wide rubber band. Build your hummer! Learn more about bees online. 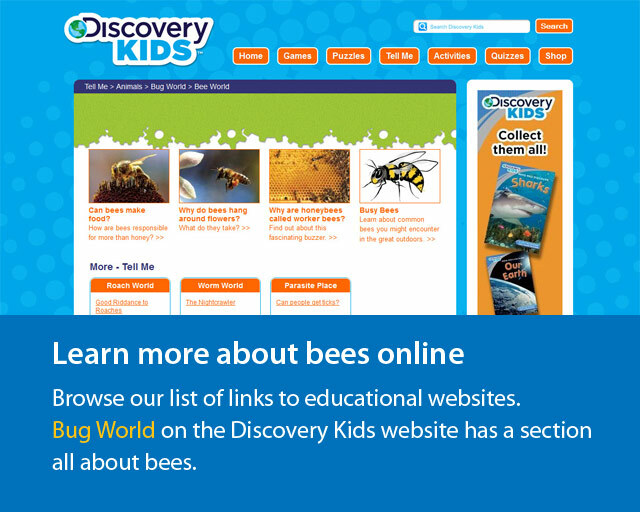 Bug World on the Discovery Kids website has a section all about bees. 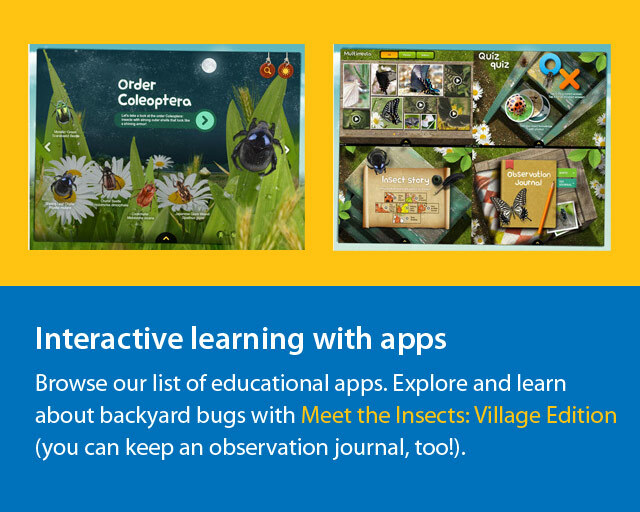 Explore and learn about backyard insects with the Meet the Insects: Village Edition app (you can keep an observation journal, too!). 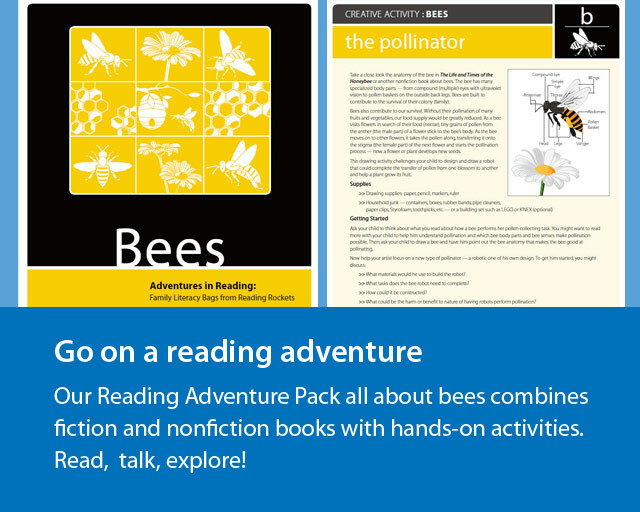 Find more cool activities in our Reading Adventure Pack on bees. 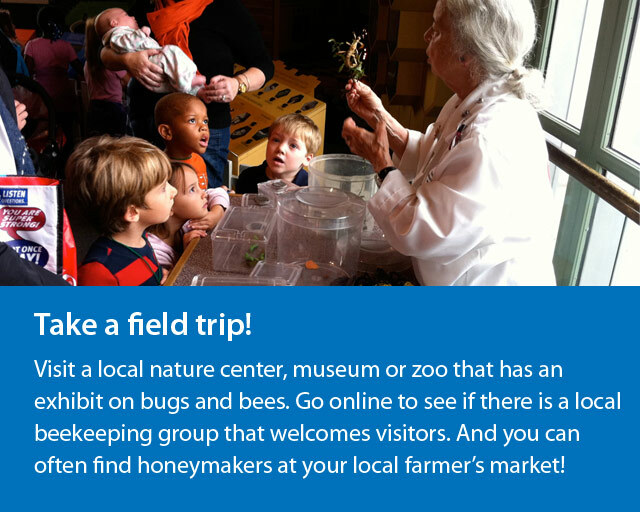 Visit a local nature center that has an exhibit on bees. For example, if you live in Washington DC, you can visit the Insect Zoo at the National Museum of Natural History. Print your book list and head to the library to pick up the titles. 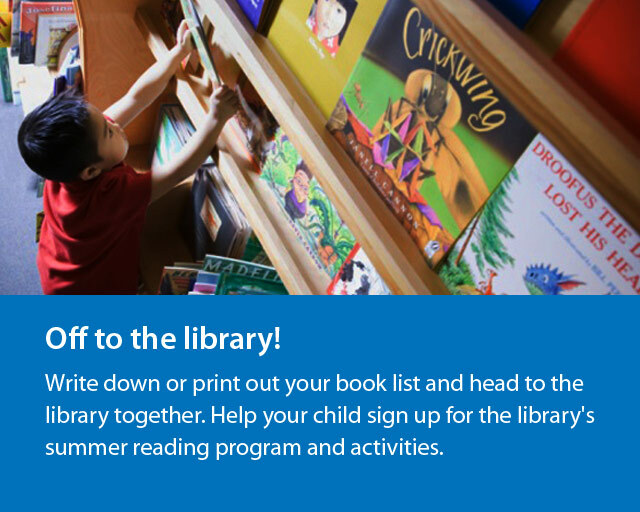 Bring your child along and sign up for your library's summer reading program. If you are visiting a DC public library, ask the children's librarian for your Start with a Book bookmark. 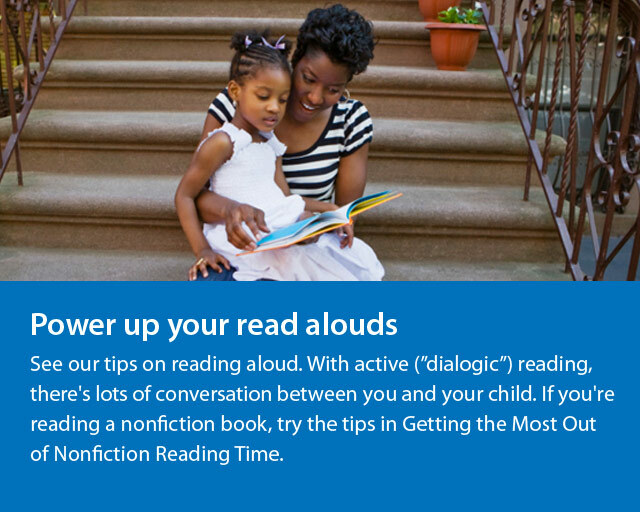 Before you start reading together, check back in with the website for our tips on reading aloud, including "dialogic reading" — interactive reading where there's lots of conversation between you and your child about what you're reading. If you're reading a nonfiction book, you might want to take a look at the tips in Getting the Most Out of Nonfiction Reading Time. 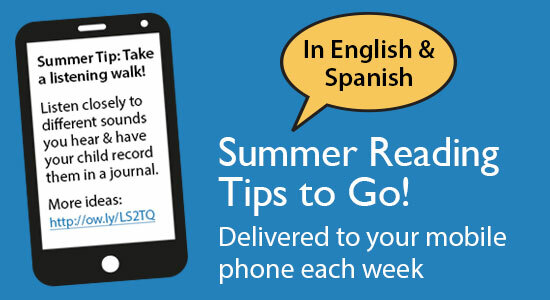 You'll also find guidance on how to strengthen your child's comprehension as you read together. When you know you'll have at least 20 minutes, grab your child and a book, and dive right in. Talk about the cover of the book with your child. Can he guess what it is about? Have your child ever read a book by the same author or about the same topic? Read the book to your child. Take time to ask and answer questions, explore the pictures and wonder together what will happen next in the story. As you are reading, or afterward, talk with your child about characters or facts you find interesting or questions you have. Keep the conversation going while you're trying out some of the activities. 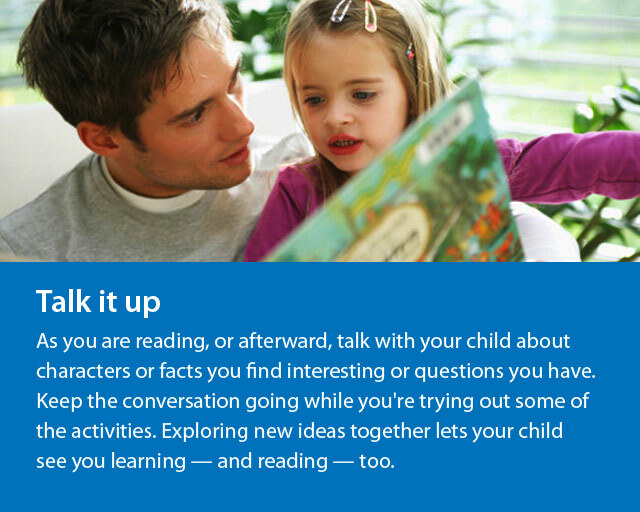 Exploring new ideas together lets your child see you learning — and reading — too and gives your child personal experiences to support his growing knowledge. 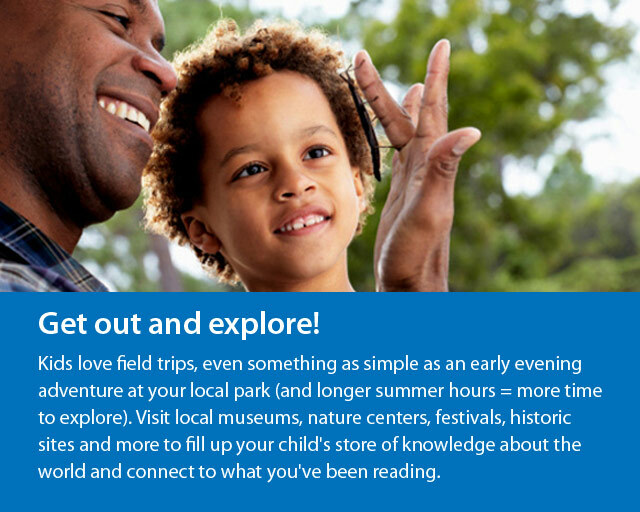 Kids love field trips, even something as simple as an early evening adventure at your local park (and longer summer hours = more time to explore). 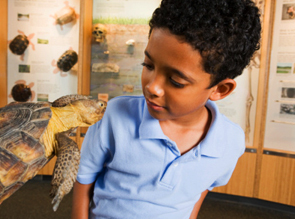 Get out into your community and visit local museums, nature centers, festivals, historic sites and more to fill up your child's store of knowledge about the world and connect to what you've been reading. 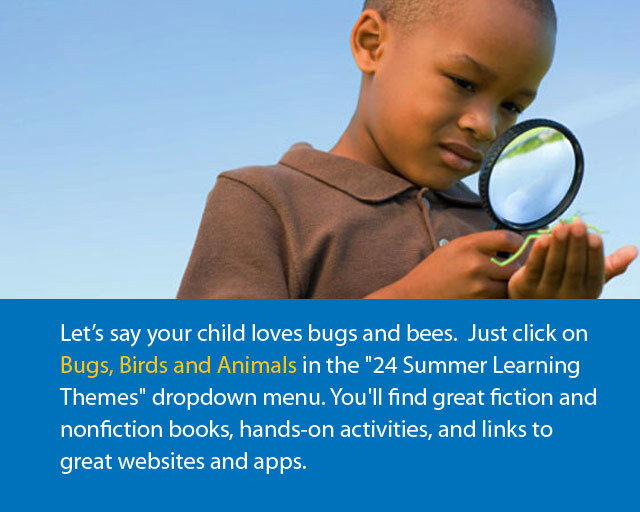 Choose more themes and books for a summer of discovery! We've got 24 themes to dig into. 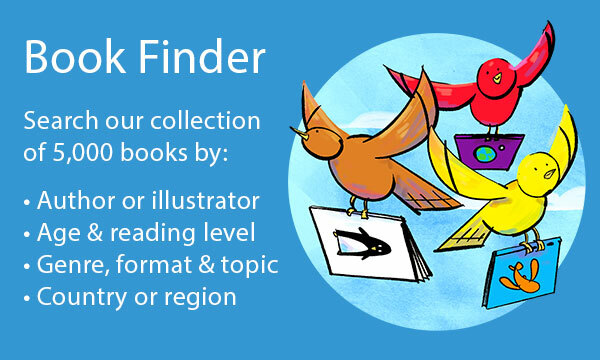 Below, you'll find suggestions for how you might combine books with activities around a specific theme. 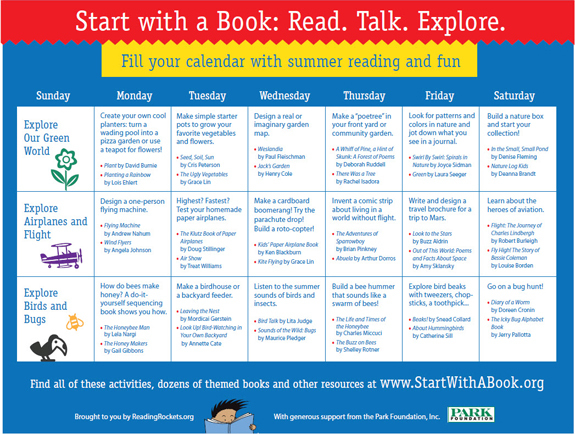 All of the activities and books can be found here on the Start with a Book website. Meet Wendy Bostic, a mother of two young children in suburban Washington, D.C., who knows that taking a vacation from school doesn't have to be a vacation from learning. During the summer, she makes a conscious effort to keep her two young children engaged — with reading, regular trips to the library, and exploring the world around them through local field trips. This clip is from Adventures in Summer Learning, an episode of the Reading Rockets Launching Young Readers series.